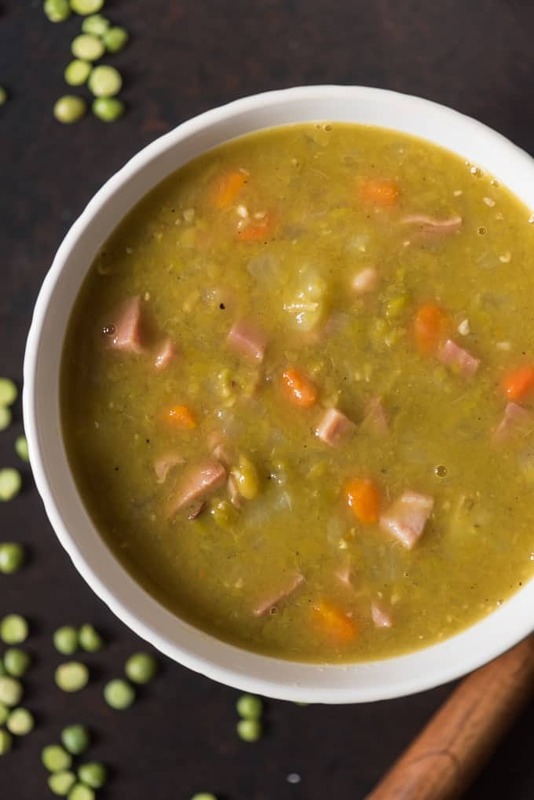 While Split Pea Soup is decidedly less beautiful than most any other food I can think of with it’s pea green color and chunks of diced ham and carrots in the thick, soup base, it has a wonderful, comforting savory flavor and warmth that more than makes up for it’s appearance! 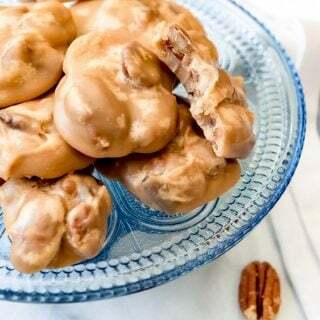 A new year calls for a new installment in the ongoing Historically Hungry recipe series my friend Jenni over at The Gingered Whisk and I are doing where we periodically dive into a period of history and recreate popular recipes from that time. 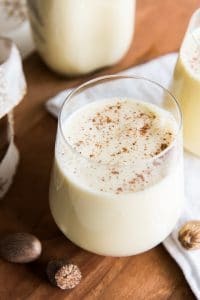 So far we’ve visited historical Salem during the witch trial period and the Victorian era, but today we approaching recipes that were popular during the 1700’s, specifically during the life of Alexander Hamilton, thanks to the new Hamilton Cookbook by fellow blogger Laura Kumin, who blogs at Mother Would Know. 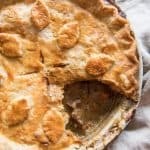 I’m sharing Hamilton’s Split Pea Soup and Jenni’s got a tasty treat called Chocolate Puffs from the same cookbook that she describes as being somewhere between a cripsy cookie and a candy that I am looking forward to trying! 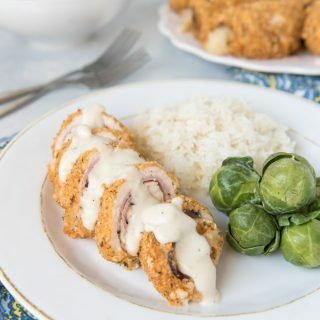 I love when old recipes are made new again and adapted to modern kitchens and lifestyles, and I also love the hugely, insanely popular musical “Hamilton”, so it was a no-brainer when Laura asked if I would be interested in previewing her cookbook! 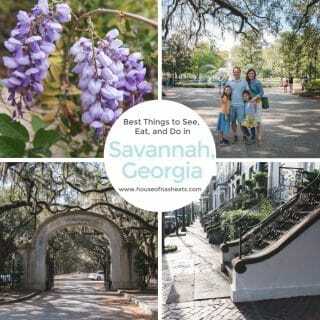 It’s all about cooking, eating, and entertaining in Hamilton’s world and has some really fascinating details about what dining was like during Hamilton’s time. The book is so much more than just recipes and Laura did a lot of research to add interesting information about Hamilton’s personal life (which so many of us are weirdly obsessed with) along with recipes that he and his wife Elizabeth, who loved dinner parties, would have served in their home to friends and family. So much of what they ate sounds right up my alley, like fried sausages and apples, Johnny cakes, lamb stew, and gingerbread cake. 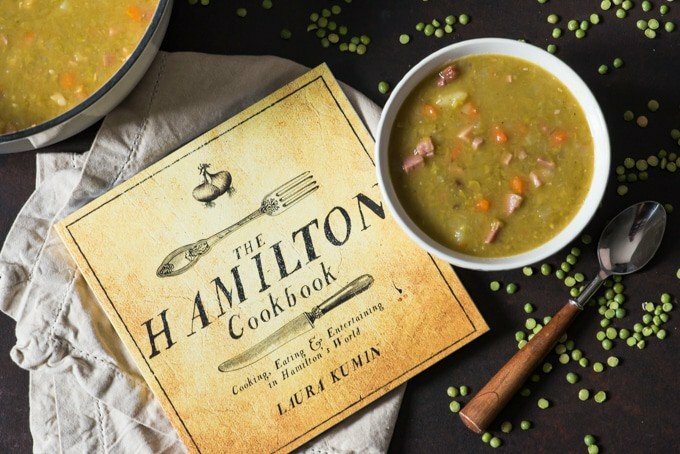 You can get a copy of the cookbook here and throw your own Hamilton-themed dinner party! 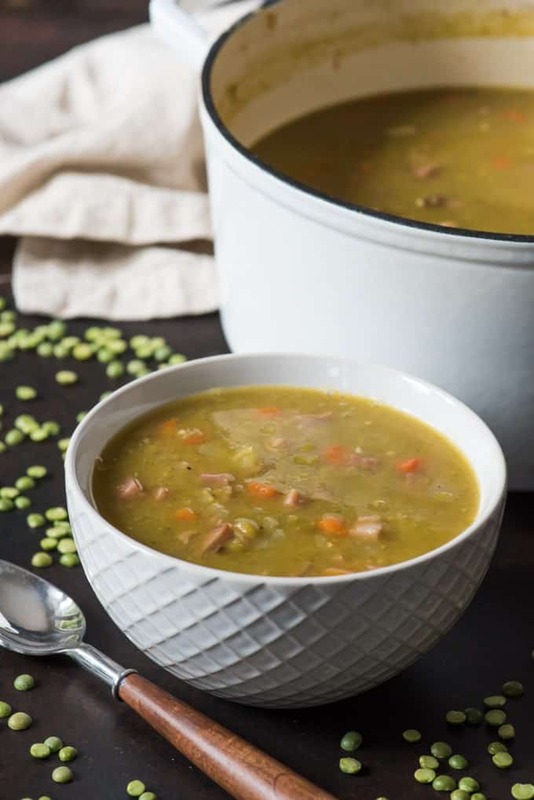 But for starters, I am sharing Laura’s recipe for Split Pea Soup, which she adapted from “Another Green Peas Soup” in “The English Art of Cookery”. 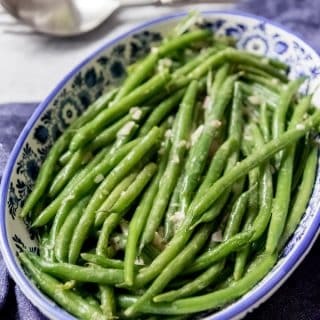 While her recipe is a vegetarian one, Laura included a note explaining that Hamilton’s family would likely have served a version with some sort of ham in it because Elizabeth Hamilton’s family was Dutch and much of their food was influenced by Dutch traditions, which included pork meat in similar soups. So I went ahead and used a ham bone and some diced ham when I made mine since I had some leftover from another meal, and I loved the wonderful savory flavor and texture it adds. You could soak your split peas overnight and save an hour when making this soup since unsoaked peas take 1-2 hours of simmering to become tender, while soaked peas only take about 40 minutes. I also made a couple of slight adjustments like replacing half of the water with chicken broth and turnips with potatoes, based on my personal preference. 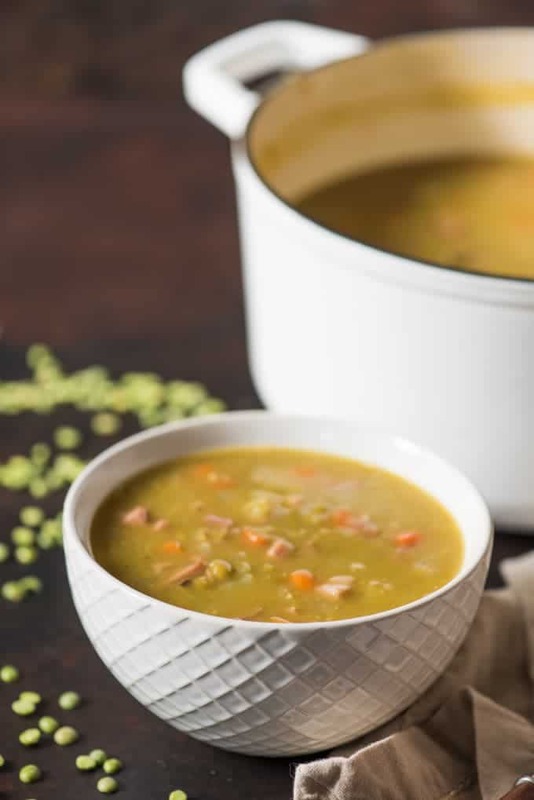 Like I said before, it may not be the prettiest thing you will ever eat, but it’s definitely comforting on a chilly day to sit down to a hearty bowl of this historically inspired split pea soup! Especially with a crusty slice of rye bread and butter! And why not go all out and turn on the Hamilton soundtrack to listen to while you eat. 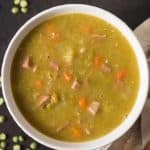 While Split Pea Soup is decidedly less beautiful than most any other food I can think of with it's pea green color and chunks of diced ham and carrots in the thick, soup base, it has a wonderful, comforting savory flavor and warmth that more than makes up for it's appearance! 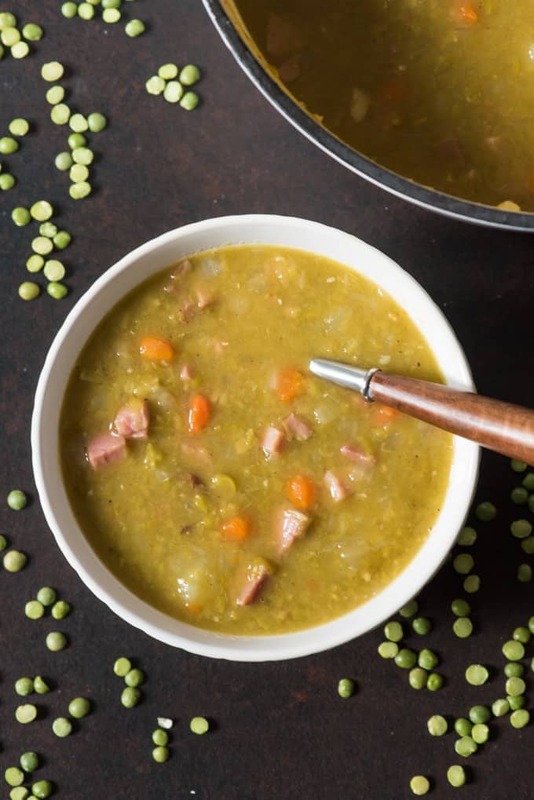 In a large dutch oven or pot, bring water and chicken stock to a boil, then add the split peas and ham bone and simmer for 1 hour, until the peas are tender and fully cooked. Remove the ham bone and add another 2 cups of water. Bring the soup back to a boil, then decrease to a simmer again and add the diced ham, onions, carrots, potatoes cabbage and spinach, along with the mace, cloves, salt and pepper. Cover and simmer for 15 minutes, until the vegetables are tender. 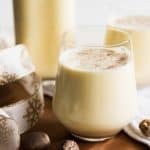 The soup can be served as is, or you can mash some of it with a potato masher or puree with an immersion or stand blender until you reach the consistency you like. I prefer the potato masher because I like the additional texture chunks of carrot and potato. *Printed with Permission from Laura Kumin, author of The Hamilton Cookbook. 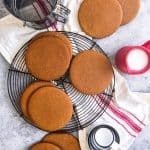 Other historical recipes you will want to try! I love pea soup. I always use yellow peas. Not sure why, probably because that is how mom always did it. 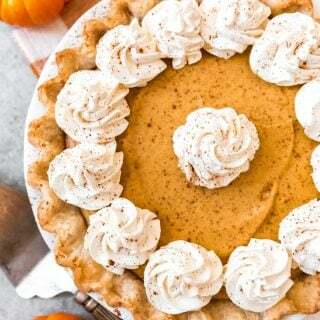 This is the perfect bowl of comfort food for the cold, chilly weather we are having. Love you can make HUGE batch…the kids take it home with them. Such a comforting soup! This is perfect for the freezing weather we’re having here! 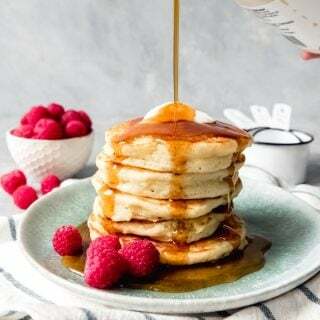 I hear ya – some of the tastiest food isn’t necessarily the prettiest, but you’ve done a great job of making this look as good as I’m sure it tastes. Such great comfort food – perfect for this hazy, cold weather we’ve been having lately. I can’t get enough soup in my life this time of year! I love the addition of ham in this to make it really substantial – thank you for sharing! I have to agree with you – and others – the tastiest food isn’t always the prettiest! 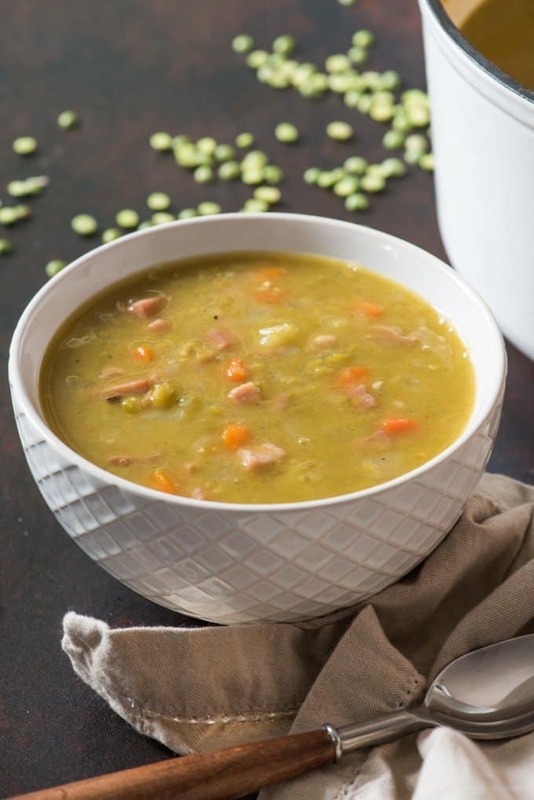 I’ve been making a very similar recipe for split pea soup for 40 years… our 4 sons grew up on it and they make it the same way. It is quite similar to Hamilton’s Pea Soup. We’re having an actual winter in south Texas this year, and a bowl of this comforting soup sounds delicious right now! 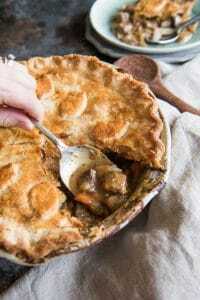 It is such an interesting topic when you reflect back on these recipes that were popular in the days before refrigeration and how the food was stored and prepared. Dried peas and salted pork I suppose were a staple of those times. Thanks for sharing! What a delicious looking soup. We love spit pea but don’t make it often enough. We’re due to make a pot of soup and this will be just the thing. Thank you!! I absolutely loved this post!! The history of Hamilton and the series you are doing is so fun!! I’m going to go back and look at your other themed recipes you linked, especially that Salem Witch Trial post! Your words made this recipe sounds amazing so now I want a bowl! And I had no idea that split peas were such a time consuming pain to prep! !I really enjoyed this post! can’t wait to hear more from your series! Thanks, Amanda! It’s such a fun series and we love doing it! I’m already super excited about the next two periods we are planning on covering! When it comes to delicious soups. I could care less what they look like. 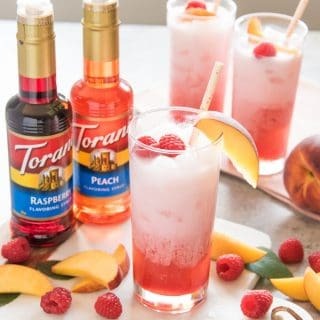 But either way, this looks delicious! Trying your soup out for a couple of widows in the neighborhood. 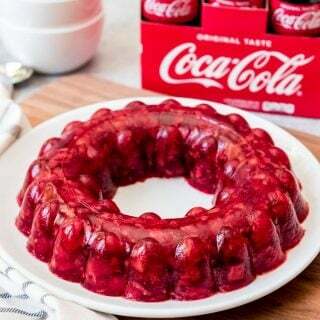 I’m sure they will love it! Quick question…cauliflower? Did I miss something? Uh-oh, now I feel like I am the one missing something! I didn’t use any cauliflower in this soup and I don’t see anywhere that I mentioned it. I’m not sure if that helps?